Board index ‹ Other Stuff ‹ Other Marques ‹ Well What have I been looking at ?? Well What have I been looking at ?? Just thought I'd mix things up a bit and it seems there are a few on here who have recently parted with their Z's. Look what I've been looking at, what d'ya think? and guess what its a diesel - 56mpg, just shy of 300bhp and speed limited to - you guessed it 155mph. Re: Well What have I been looking at ?? Looks Maserati ish to me. Levante ? 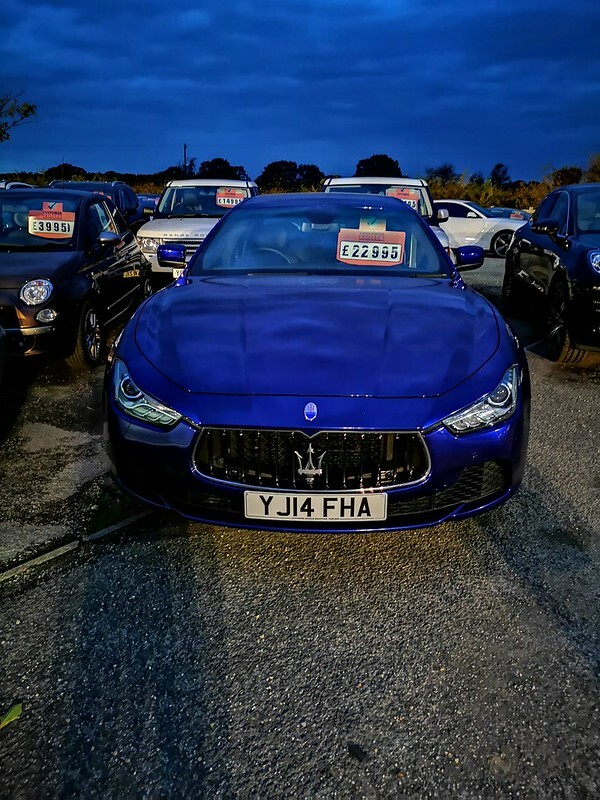 It's a Maserati Ghibli V6d. Looks kinda mean doesn't it ? Well it’s a class motor but to be honest I wouldn’t look twice at it it’s the badge that makes you look. Now this motor we saw at the Trax show I would be tempted to swap my Z for and there’s not many cars I would do that for!